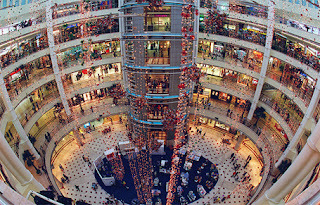 Suria KLCC shopping mall is one of the best shopping malls in Kuala Lumpur. Situated underneath the Petronas Twin Towers, the shopping mall lives to its tagline – always something new. The ground floor is dedicated to the prestigious designer labels like Giorgio Armani, Gucci, Prada, Bally, Escada, Chanel and Cartier. Here, you can virtually get anything you want. With two anchor tenant – Isetan and Parkson Grand, and a multitude of retailers, from fashion to computer peripherals, Suria KLCC is just the place to be. Visit the mall at the end of the year where most boutiques like Gucci, Escada, Giorgio and Emporio Armani, Miss Sixty and more are having their End Season sale. 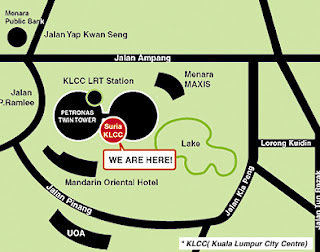 Adjacent to the mall is Kuala Lumpur Aquaria. malaysia is a fantastic country….i like to stay there because alot of entertaiment places and shopping complex as well.